Are you new in the online dating game? Pay attention to this information! While most major online dating sites, such as Match.com and eHarmony and many others, do make an effort to educate their users and protect subscribers from fraud, the reality is no matter which site you use, there is always a risk for dating scams and fraud. Internet criminals are using sophisticated techniques to target potential victims, and if you’re on an online dating website, your job and responsibility will be to weed out the real people from the fake profiles, con-artists and other fraud profiles. Think it couldn’t happen to you? It can, and the damage from such scams can be devastating. International private investigators are reporting a significant amount of romance fraud cases that are taking place in the larger and well known dating sites, such as eHarmony, ChristianMingle and others. No dating site is immune from fraud, but scammers move from one to another depending on how “business” looks like in one or the other. When there have been a lot of scam alerts in one site, con artists move to another and let things calm down a little bit before striking again. It’s important to understand this can happen on any dating or social media website, and investigators say that nearly half of all online profiles are deceptive or fraudulent. Expert investigators verify the identity behind the online profile. One of the most important things to know for those who have an active online life is that internet is a lot like the real world in terms of crime. People get robbed in the streets just as much as they do online. There is no point to demonize the internet, or dating sites or social networks. The truth is that people just need to learn how to make a good use of these tools, and how to prevent being a victim of fraud. Online dating is now one of the most popular ways for couples to meet, and with time the negative attitudes and stigma have faded away. It is great to see people finding love online and giving online dating a chance, however this is no reason whatsoever to stop being cautious. Growing familiar with meeting people online is great as long as you know the risks and flaws of online dating, and as long as you are taking safety measures. Professional investigators conduct dating background checks to help internet users verify individuals they meet on online dating and social media websites. If your perfect match says he or she went to school here, works at this company, lives here, etc, investigators verify all this information. 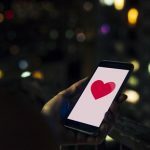 In the last few months, authorities from different parts of the world have been taking action to control online romance scams because the amount of losses and reports have demonstrated that the situation is completely out of control. According to the Australian Competition and Consumers Commission, Australians lost $25 million to dating romance scams in 2013. The FBI Internet Crime Complaint Center reported in 2013 losses of almost $55 million only in the United States. Add to the picture that this is a global issue, and that many of the victims never report their losses, and you´ll understand the dimensions of this problem. Investigators estimate that only 1 out of 10 scam victims report the crime to authorities. There are two main reasons why online love scams have expanded so much. The first one is that scammers are getting good at what they do, and they are more organized than ever. Avoiding dating scams is not always easy. They are conducted by criminals who normally do not operate on their own, they now belong to big crime rings that manage a lot of personal information and have a wide network of “helpers” that make things flow easily. From the girl who poses for the pictures, to the cashier on the money wiring service. They pick their targets with a lot of precision, they have experience playing with people´s minds and feelings, and they have the right contacts. Fake profiles are created to match exactly what you are looking for, and the criminal proceeds to slowly gain your trust. Even the most skeptical and computer savvy can be a victim. The second reason is that victims are also letting this happen. People share too much information online, which gives con artists and criminals a good idea of who may be one of their prospects. Anyone who meets someone online needs to understand the risks, and any online profile can be easily created using false information. Think you can verify the individual on your own? Be careful. Criminals now assume or steal real identities of real people, so when you go to verify the person, you think everything is verified and true. Only a trained professional investigation can conduct a proper dating background check investigation to lower your risk, and provide you with clear evidence. Lastly, romance scams can target you anywhere, not just on online dating sites. Many experienced internet criminals have shifted their focus to target potential victims on social media sites, such as Facebook, because users on those sites feel safer. Remember that online dating and social media sites, even if they have good intentions, have no way to verify the millions of users on their website. Be skeptical, and never provide personal data or payment to a stranger. It’s up to you to be safe, and speak to a professional about how to stay safe. Have you met someone online? Contact us today for a free quote. I git scammed once, and when you learn to recognize these people you can see that dating sites are plagued with them! Scammers are pretty good. They can make their stories work for years and years. Those criminals are heartless. They do not know the harm they do to innocent people.